Hawaii Private Locators LLC uses sophisticated metal detectors, electromagnetic detectors utilizing radio frequencies and electromagnetic signals, and ground-penetrating radar to sense underground pipes, utility wires, lava tubes, old septic tanks, or other potentially hazardous voids, so homebuyers can be alerted before buying or building. Depending on the soil condition, this technologically advanced equipment might also be able to detect Hawaiian iwi so potential burial grounds will not be disturbed. HPL will produce printed reports of what its sensing equipment finds underground, as well as video inspection reports of the insides of sewer lines. Underground Inspection Rates are a flat fee of $750 Residential and $1500 Commercial. 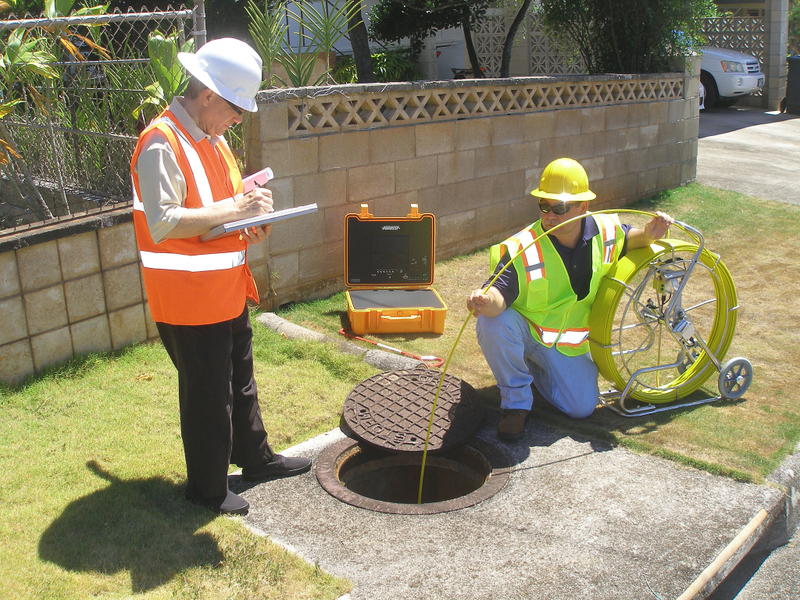 HPL is the only one in Hawaii providing this type of geophysical service and it addresses a need for potential homebuyers who want to be sure of what’s underneath the property they’re considering purchasing. Its service is protective of the environment, and conscientious homebuyers will want to avoid potential injury or death by having their properties scanned for possible gas lines, high voltage wires, lava tubes or sinkholes, etc. The company hopes to have a clause inserted in the Honolulu Board of Realtors purchase contract that would give the option for underground home inspections before selling or buying a property. Let the professionals at HPL put your mind at ease!